DEW-SCENTED - Relentless Thrash Metal from Germany - DEW-SCENTED » Confirmed for Wacken Open Air 2013; Working on new songs! DEW-SCENTED - Relentless Thrash Metal from Germany - DEW-SCENTED » Confirmed for Wacken Open Air 2013; Working on new songs! 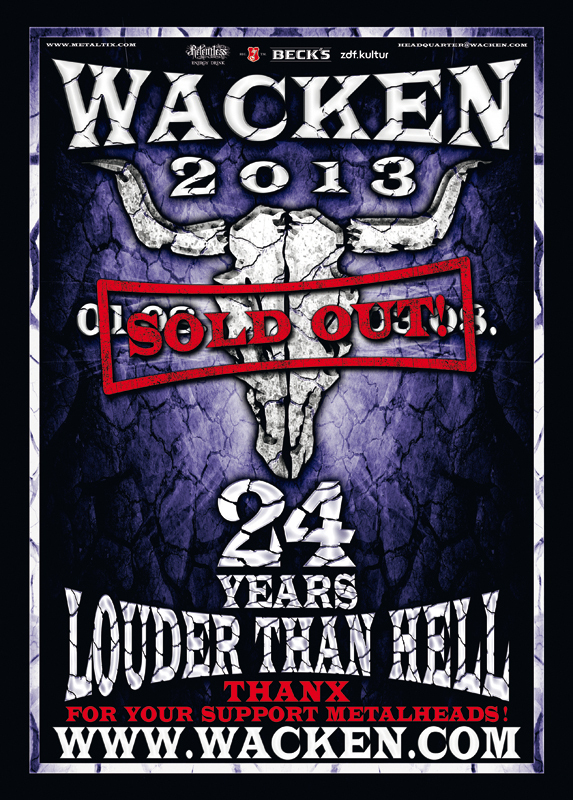 Home > NEWS	> Confirmed for Wacken Open Air 2013; Working on new songs! Confirmed for Wacken Open Air 2013; Working on new songs! Meanwhile, we have already started working a bunch of new songs for a very special release we intend to do next year. The material’s flow is awesome and we feel it’s headed well into the right direction we explored on “Icarus” and taking things a notch further. We will be hitting studios by the end of January 2013…Look out! Take care and have a smooth winter! P.S: Mitch Lucker, rest in peace! You will be missed and remembered by many!!! *** DEW-SCENTED news February 14th, 2013 *** Festival Dates 2013 confirmed!